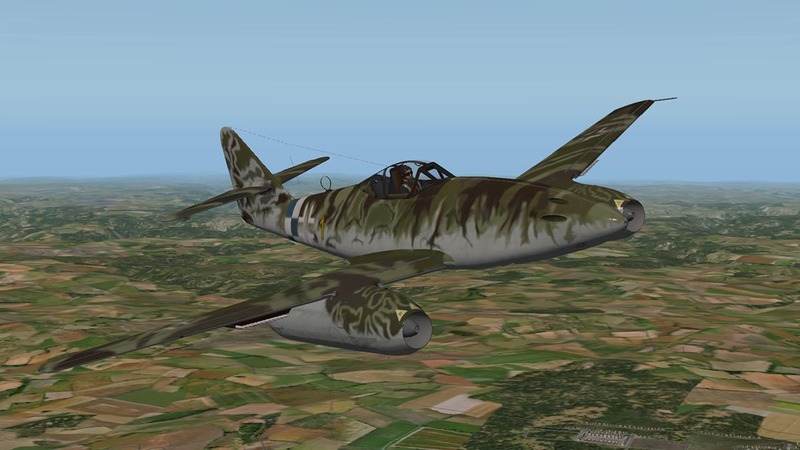 The Messerschmitt 262 has been updated to version 1.1 by MLADG. The update consists of mostly nips and tucks, but the update has taken away most of those small annoyance factors. What is still there is this is a great aircraft to fly. 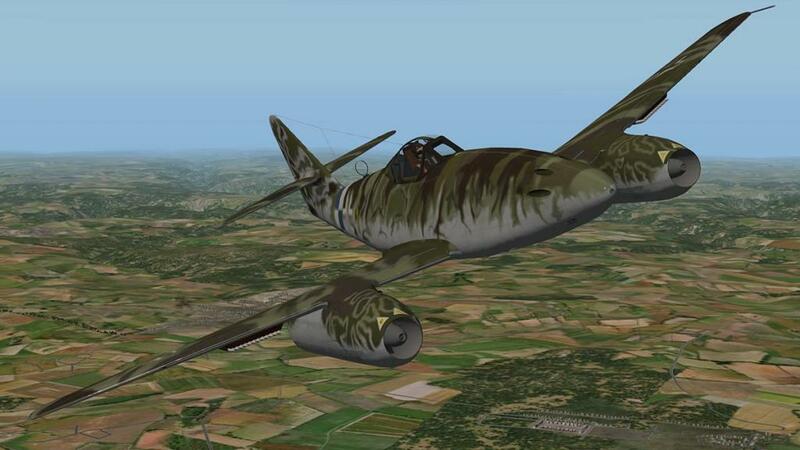 There is also three versions of the aircraft that covers the new beta 10.30 and some of the features in the update. 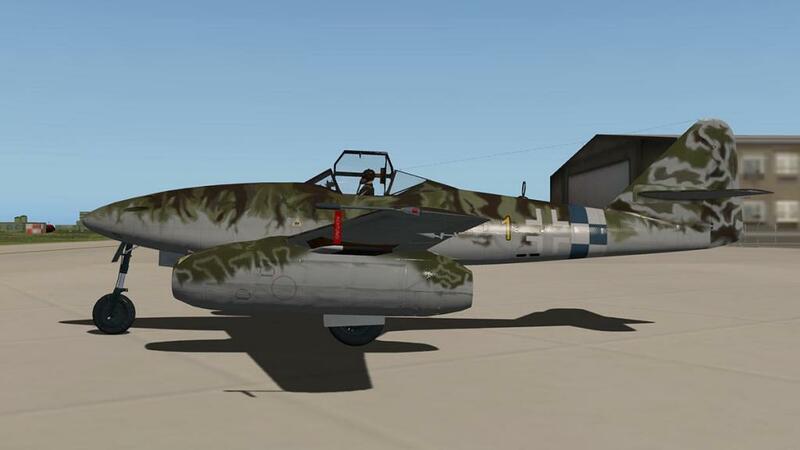 The three versions included with the update is the standard 262.acf, but this is the 10.30 version (note in that MLADG will update this version when 10.30 goes final), The second aircraft available is the 262_10_25 version, this is for the current 10.25 X-Plane version and for Steam users. 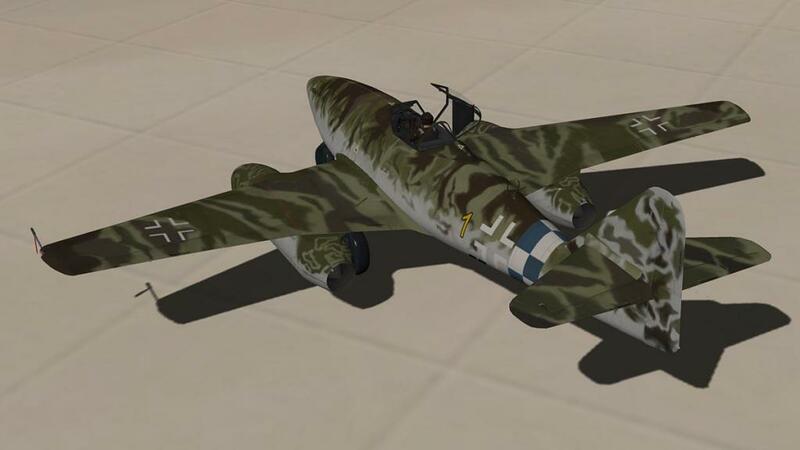 The final version is the "C" aircraft and the C variant uses a castoring wheel. 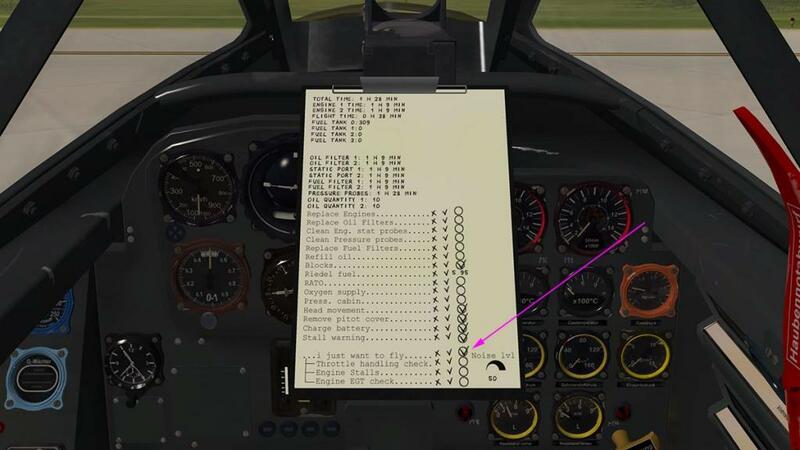 You need to apply rudder and brakes to initiate the steering. 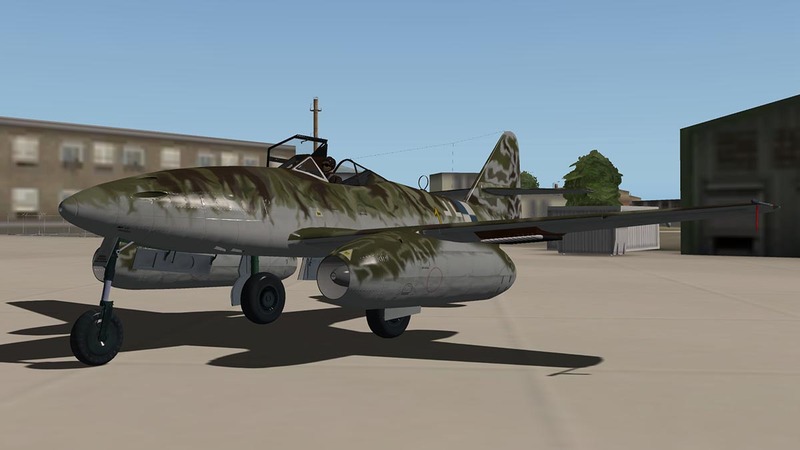 But MLADG has made a few changes that helps you fly the Me 262 without spending hours before you get the aircraft in the air and then keeping it there. First off there is now a "I just want to fly" selection on the pop up menu (knee-board) that cuts through all the palaver of turning this or that on in that certain order. 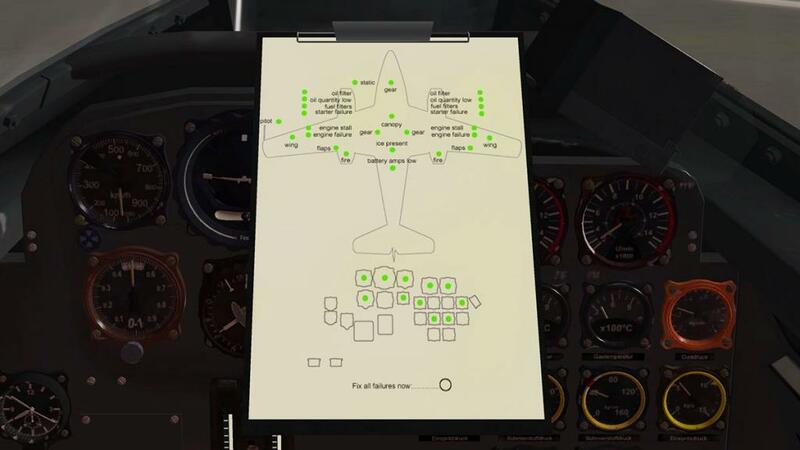 The only thing to double check is that the "remove pitot cover" is optioned because once you leave the ground it cannot be removed, and the maintenance/ failure overview screen has also been added to the knee-board. There is now a new full "failure Overview page" and it shows what has been compromised and a one button press to fix them back to full active. But the annoying "blown tyres" on takeoff has been fixed, now you can store the gear with confidence and not having to brake the wheels before cranking them up as like before, and the animation has been improved. The aircraft won't sit on its tail anymore either, which was quite odd. 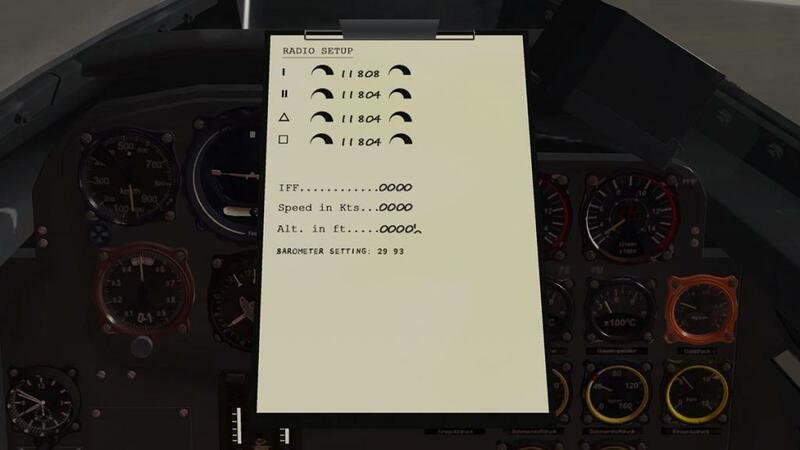 I though it was the period of the aircraft that caused the AoA limit indication to VSI, Altitude and Speed indications, but it was just not implemented, but it is now. And also added in the systems is the battery discharge/ oil loss function, so depending on when you last used the plane, the oil and battery charge will have decreased. One item that you have to watch out for is opening the canopy. Pull the big red lever to your right and the canopy is blown away, it is the small black lever on the left that you open and close the glass canopy with to the side. 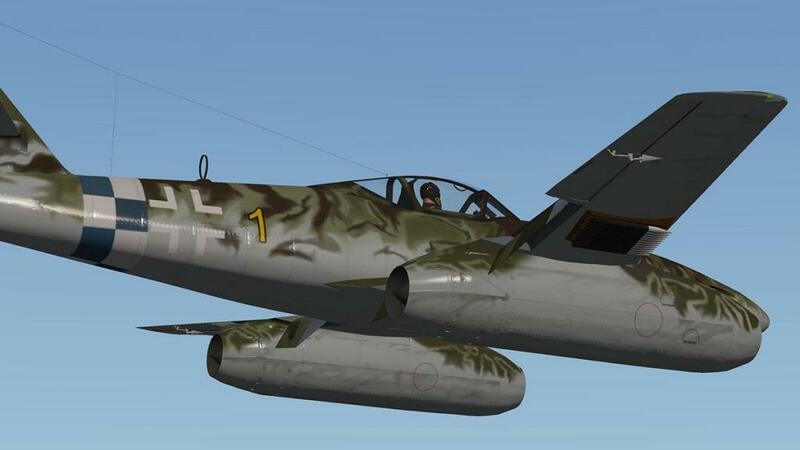 There is a new livery as well which is called "Yellow1", and that is the livery shown here on the Messerschmitt. 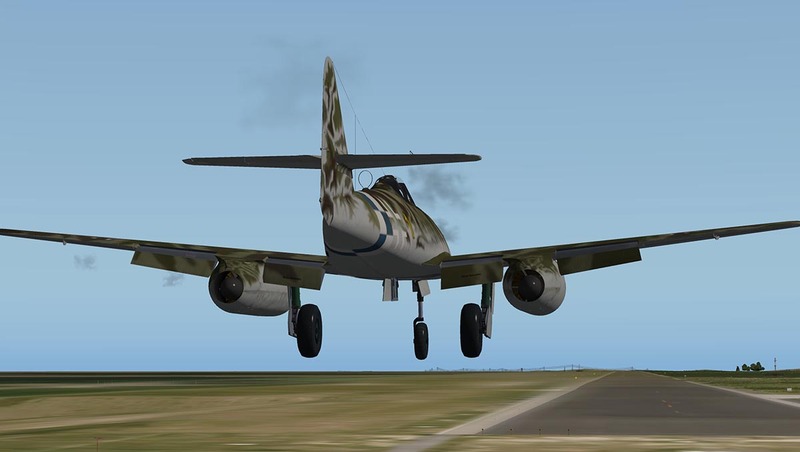 But overall it is the flying of this aircraft that stays with you... 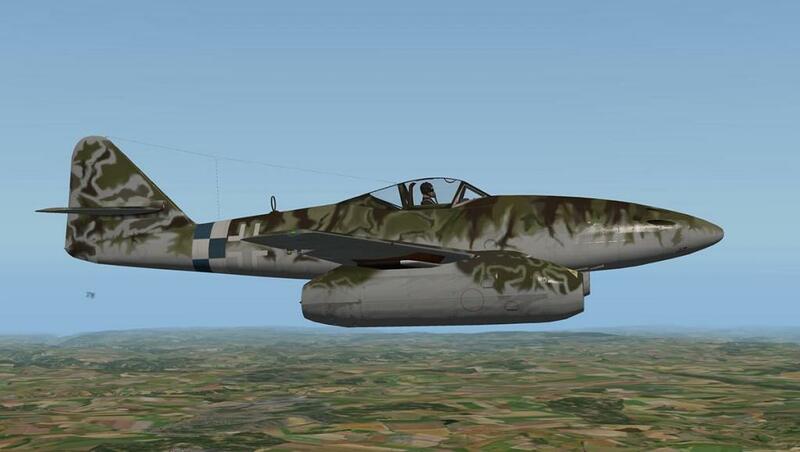 It is an amazing aircraft to fly, and very nimble it is too. 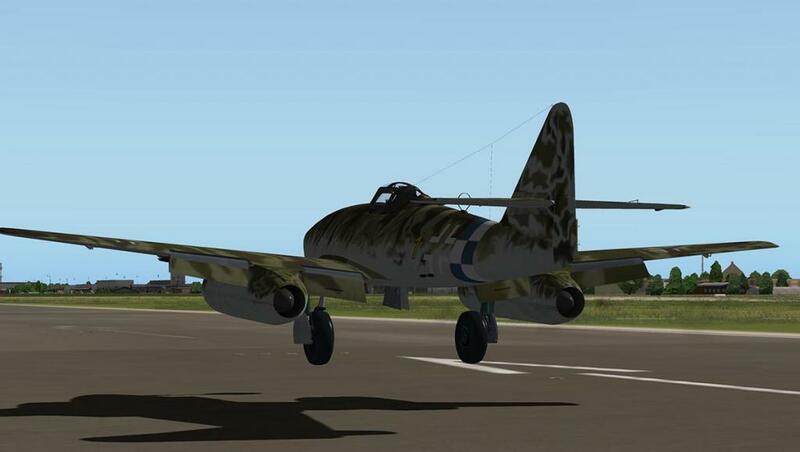 You still have to watch yourself not overflying the Me 262 till you get some altitude below you from the airfield, as those engines will still blow themselves out or something will cause a failure. But the shear speed of the aircraft has to be put into context for the period, It is so fast and so wonderful on the stick it is a real marvel to fly. 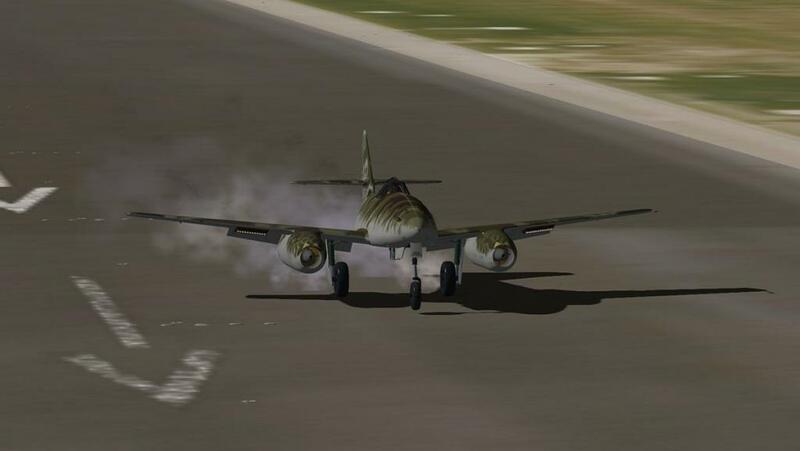 As the speed runs off you will find the flaps are not stepped but one continuous slide for the degree you require... however again the aircraft is so stable and so wonderfully manoeuvrable in its low speed that landings are a joy. 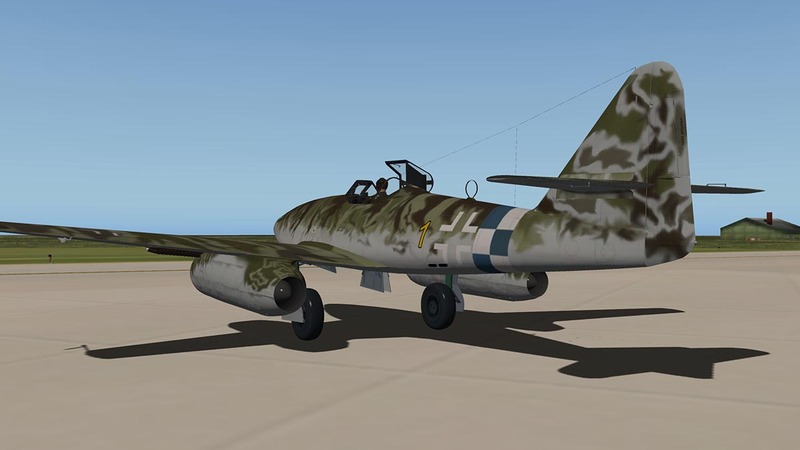 The Messerschmitt 262 A-1a Schwalbe version 1.1 is now available from the X-Plane.Org Store. 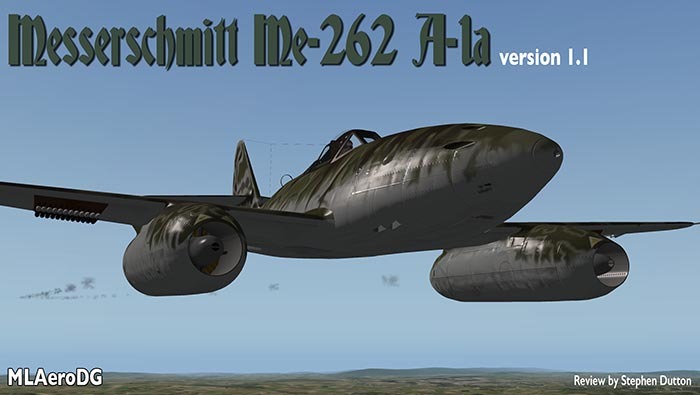 Price is currently US$18.00 : Get the - Messerschmitt 262 A-1a - Here. 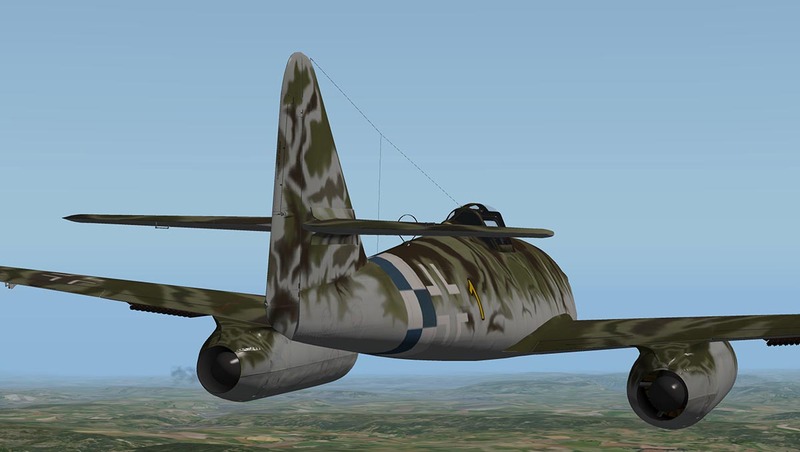 If you already have purchased the Me 266, you can update to ver 1.1 by going to the X-Plane.Org Store and logging into your account for the update.